I grew up in Hammond, Louisiana as a competitive gymnast in my younger years. I began coaching the sport at 16, and learned that I had a passion for coaching. In 2009, I graduated from Southeastern Louisiana University with a degree in Finance. 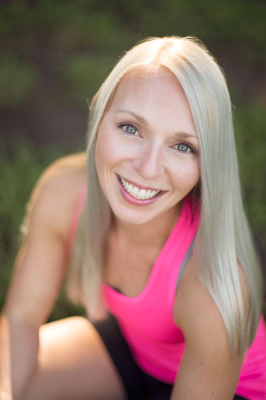 After spending about 3 years working in the corporate world while teaching group fitness part time, I quickly realized that the health and fitness industry was where I wanted to focus my career. After working with a large variety of clients through personal training, I noticed that I was able to make the largest impact on clients suffering from various orthopedic issues. I am an ACE certified Personal Trainer, Orthopedic Exercise Specialist, and Group Fitness instructor, and I have worked in the Fitness industry for over 7 years. In addition to helping people meet their weight loss and fitness goals, I enjoy getting to see people re-gain use of previously injured muscles and joints. It is amazing to help others live their lives pain-free and without limitations.